Valkee Humancharger shutdown – temporary or final? 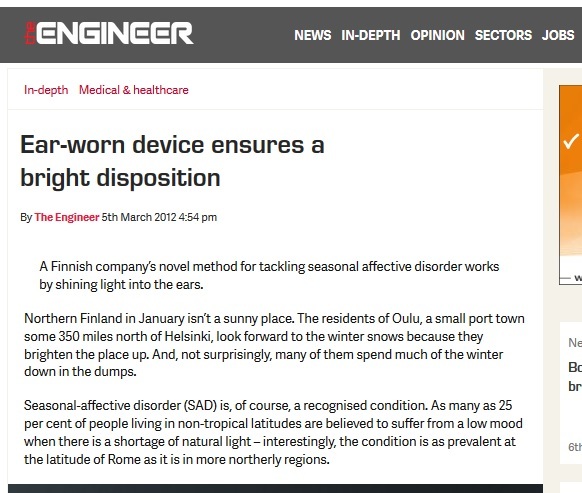 This blog – as the previous earlightswindle.com – was once reporting exclusively about the multifaceted scamming activities of finnish company Valkee Ltd, maker of the fake “light therapy device” HumanCharger. Valkee’s Facebook pages have not been updated since December 2017. They last spammed Twitter users for their “cure for jet lag” in April. 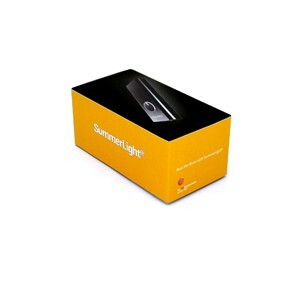 The product is no longer sold on Amazon. It’s also finished in the Humancharger.com shop. 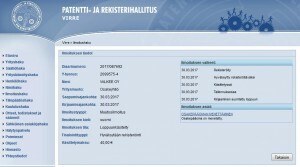 The finnish trade register says, that in May 2018 the main shareholders LifeLine Ventures, Vera and Merieux forgave the company another 230.000€ convertible loan; i.e. was converted into worthless shares. The same happened to several other such loans during the last two years, rising the amount of burnt money to more than 10 million Euro. The next months will now be decisive. I am looking forward and will inform as always. This (and other stunning announcements) is from an interview* by Timo Ahopelto, a lead strategist at Finland’s tax-financed innovation funding agency TEKES. Many of his companies received TEKES funding – including the ill-fated Valkee Ltd .
Ahopelto has made antivax statements and often uses crude war- and propaganda rhetoric , especially against critics. Another incredible demonstration of what – or who – is possible in Finland, with the right connections and political support. *at 27:55 in the SmartDrugsSmart podcast, MP3 download here . 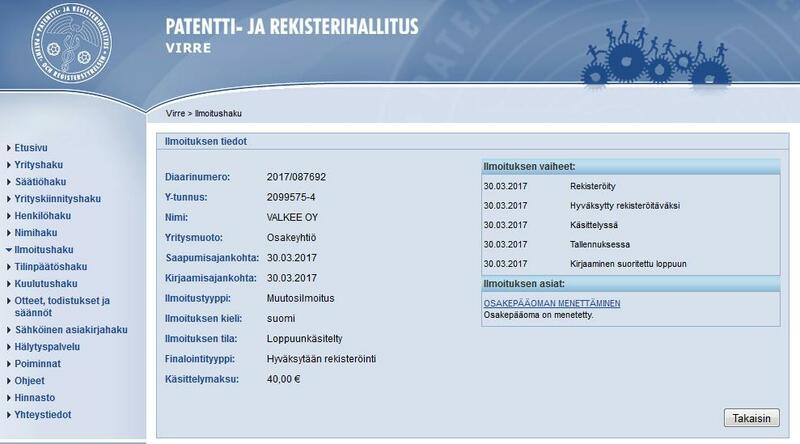 Finnish pension millions invested in questionable companies: Valkee, uBiome, Ductor &Co. 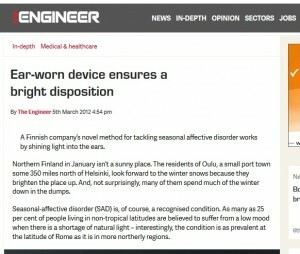 The earlight maker Valkee Ltd has caused much anger here in Finland for wasting millions of tax money. 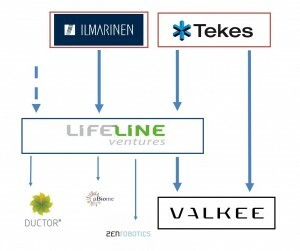 The money was channeled through TEKES, the “Finnish Funding Agency for Innovation“. The number is usually named as ca. 2,5 million Euro. But that’s only the beginning. The main “private” investor in Valkee, as opposed to the public, was LifeLine Ventures, by its founding partners Timo Ahopelto and Petteri Koponen. Millions of its funds went into the earlight. TEKES has given an extra 3 million € for the first fund in question. A considerable portion of that has to be added to public funds wasted for the scam. Additionally, the LifeLine funds got millions from Mutual Pension Insurance Ilmarinen, the biggest pension insurance company in Finland with over 500.000 insured. 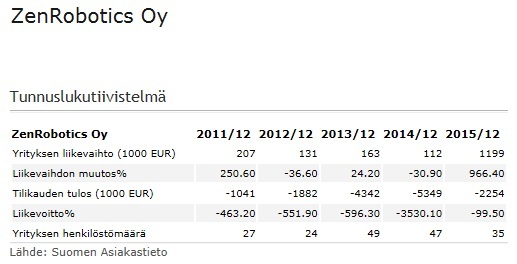 Starting with nearly a million € in 2012, when the LifeLine fund was opened, its stake has risen to nearly 4 M€ in Ilmarinen’s 2015 balance (PDF, p. 102). 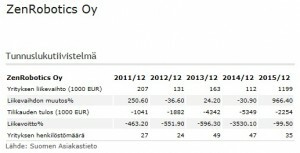 In Finland, one pays pension insurance directly from the pay check, every month. At the moment, it’s 5,7% for workers under 53 years, and 7,2% for the older. So Valkee has not only burned tax money, but also pension funds. There’s good reason to look, what other companies LifeLine has invested in. Besides taxes, who would give pension funds for questionable activities? Hopefully, the following list is not representative. Ductor Ltd promises to help solving the world’s energy problems by making available up to 100% of chicken poop for biogas production (short description). It is marketing itself even as “the new Nokia“. Not making this up! Timo Ahopelto from LifeLine Ventures. They present the ownership: Ketola 50%, Latvala 33%, LifeLine 16% (numbers from 2015). 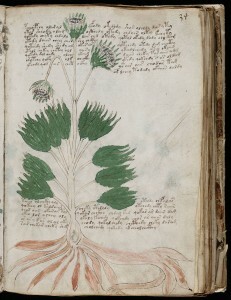 The Book of Veikko. – Jesus!! The business idea came from a tête-à-tête with his prophet, Ketola says. The right bacteria needed for the process was found straight away, when Ductor started. He doesn’t tell if God helped with that, also. An ex-manager, who left Ductor in 2015, described the company leaders as completely incompetent. That would fit. So far, Ductor has made millions of loss and 4 contracts in Germany. 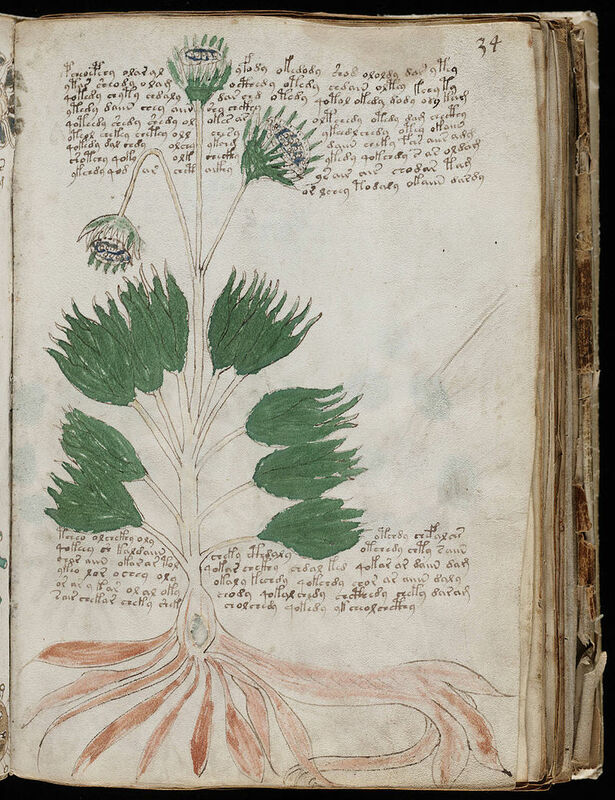 It is unknown whether their plant add-ons will work in real world settings. Update Feb 2017: The opening of the first german plant was delayed twice, and mentions have disappeared from Ductor’s website. Another LifeLine investment concerned with feces is uBiome “from the Valley”, as Ahopelto calls it. It sells test kits in which you can fill in poop (for $89) or swab mouth and private parts (for $399). The samples are then screened for the different bacteria they contain. There isn’t much to learn from this for the user, the results are meaningless – unless, one day, somebody finds out. In a cool twist, uBiome promises to be that somebody. If just enough people buy their test kits – and/or enough money is thrown at them – there may be results to tackle mankind’s worst killers. Promising too much, at the very least. Some may smell a scam herein. uBiome calls their efforts “citizen science” and has defended its lack of institutional (scientific/ethics) control, blaming the science community as old-fashioned, building obstacles for projects like theirs. These are basically the same conspiracy theories, which Ahopelto used to defend Valkee Ltd.
ZenRobotics makes AI-powered robots sorting waste. I’m naming it, because it’s been one of Ahopelto’s favorites for years. Unfortunately, it made more than 13 million € loss so far, i.e. all invested money. Sales go on, although they had to admit at one point that their robot simply “did not work“. Join us – we’ll be the last to go. If there is money to be spent, it will be spent. Sometimes at all cost. More scrutiny on how it seeps away is warranted, especially when public money and pension funds are at stake. Conflict of interest: Timo Ahopelto has made malicious and obviously false statements about me at some occasions. May the reader decide, but I am digging into facts here. Valkee’s chairman joining antivax conspiracists? Ahopelto has defended Valkee’s actions with conspiracy theories before. 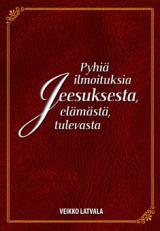 For finnish readers, the SEURA article is worth a read. An important piece about probably corruptive practices in TEKES. — However, stay tuned for Monday, April 4th. My deepest apologies. We misrepresented a clinical study in our YLE MOT TV program, and so did all those people after us, who reviewed Valkee’s stuff systematically. We were mislead by the company, but that’s no excuse. The critical point with Valkee’s earlight is the obvious lack of placebo-controlled studies for the claims in Seasonal Affective Disorder. 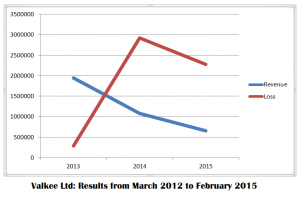 Valkee Ltd told it’s easy, and they will come up with great results. They never did. We do know, however, that they attempted such a study 3 times: One was halted, one is completely buried, and the third showed the device to be non-inferior to placebo by a small margin. This result was falsified then, because it would have obviously stopped the whole scam at once. Juuso Nissilä of Valkee gave an interview back in 2012. Unlike other bright light therapies, the Valkee unit has been tested in a placebo-controlled trial. ‘You can’t tell, when it’s in your ears, […], it’s possible to have a placebo,’ Nissilä explained. The trial, with 26 patients receiving treatment and a control group of 23, showed that depression – […] – decreased when the device was used for 12 minutes per day. That is, to my knowledge, the halted one with 60 persons to participate. It actually had results which never officially surfaced. Valkee’s then-board member Timo Takala, at the same time “researching” his product, told the reporter it was because of low enrollment. That’s what I remember, this part was not broadcasted. It fits: They had at least 26+23=49 patients of planned 60 when the data was unblinded to the investigators. That’s to say, the trial was dumped then. When the investigators know such interim results, it cannot be continued anymore. Valkee initiated the notorious 3-group trial in November 2010 with 90 participants, later to be faked. But the “halted” trial was projected to run through that very same winter. Registered completion was March 2011. That means it was not halted for low enrollment. They could have continued. But they recruited patients for the other and declared the first to be failed. Entry criteria and study design were the same. I won’t comment any longer, it would be too speculative. The real reasons for disrupting the placebo-controlled trial are unknown. Nissilä’s comment reads to me like “symptoms decreased in both groups”, i.e. placebo performed as well as earlight. The similar result as in all other placebo-controlled tests. 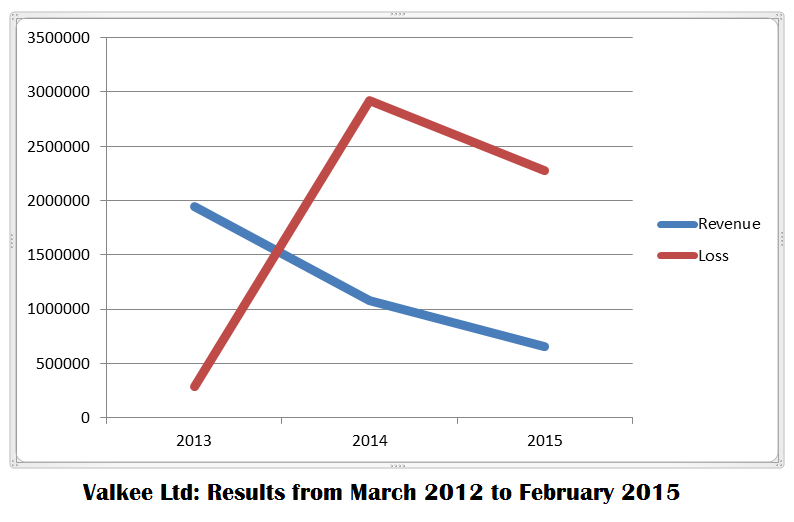 Once again, crucial placebo-controlled results remain buried by Valkee Ltd. WHY? The Christmas Special continues tomorrow. Stay tuned!